My son has already been blogging since 2005 but has been preoccupied with a lot of things that he seldom gets to update his blog more often. 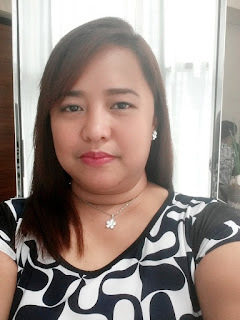 The husband, on the other hand, has been thinking of having a blog but I doubt that he can ever manage writing regularly since he's busy with work, too. Thus, OurFoodTrip.com was born in October last year. I designed it to be a collaborative writing project for the three of us. I serve as the site admin and they contribute their food reviews when they're available to write. 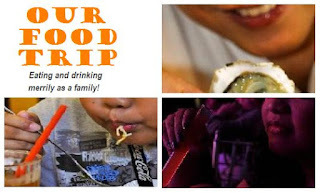 Hope you can visit us at OurFoodTrip.com. Nine months and 24 posts after, our food blog has now achieved Page Rank 1. It was a delightful surprise, actually, considering that we don't get to update the blog as often as we want to. I'm now more inspired to write more mouth-watering posts. I may also share recipes from the books I kept all these years. Who knows, I may impose on myself a cooking challenge ala Julie/Julia Project. The only downside to all this cooking and eating will be my health and my weight, I know. So, most probably, I'll be cooking and the boys will be eating. Then they'll be the ones to hunt for the best diet pills in the world! Haha! Sweet revenge, don't you think?